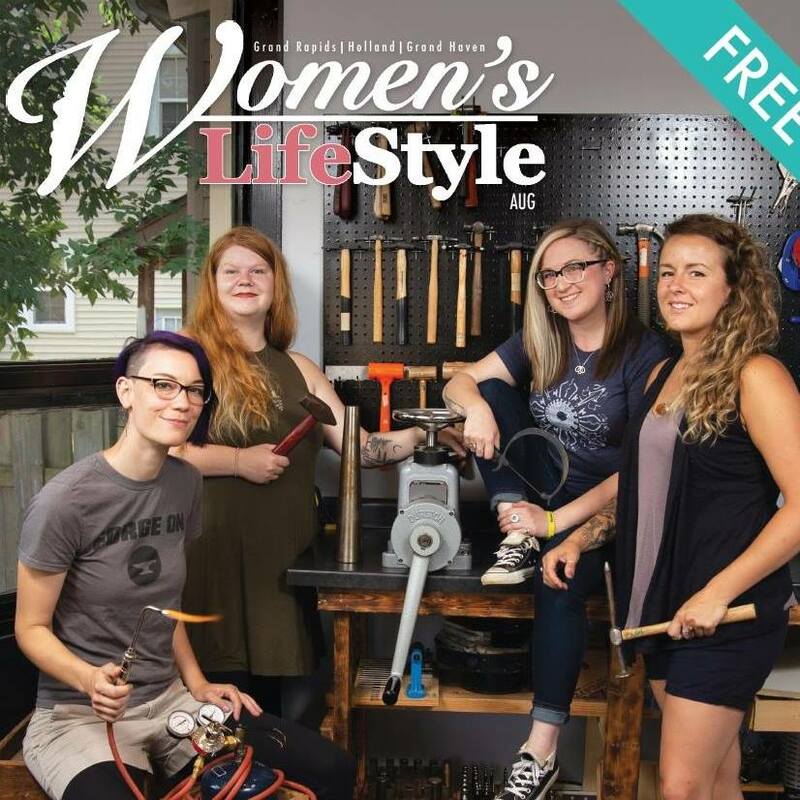 The Hot Spot Grand Rapids and it's members were featured in Women's Lifestyle Magazine for their August issue. Artists in the article include Abbey Hunter, owner of the Hot Spot, Heather Murray of Forest Emporium, Laurel Allison of L.A.M. Hand Made Arts, and yours truly, A. Clarke Metalsmith. We are grateful and humbled by the kind words and excellent article written by Elyse Wild and a massive thank you to Two Eagles Marcus for capturing our smiles! (You can also find an image of my work as the background on the Table of Contents). I was invited to help out a good friend who is also the founder and owner of The Hot Spot. We were 9 days out from the end of the fundraiser to help The Hot Spot get community ready! There are a lot of renovations that still need to happen and we would appreciate any support you are able to give! A MASSIVE thank you to eightWest for having us on the show. Make It: MADE Jewelry and Metalsmithing Alumni Invitation Work Weekend. Current GVSU students benefited from hearing alumni talk about their careers, group critique, and work alongside alumni for two days. One. Stop. Shopping. The 29th Annual Holiday Artists Market is happening tomorrow! Free admission puts you in front of over 75 local artists and their creations. Featuring A. Clarke Metalsmith and Smallholding Craft. Thank you to the Urban Institute for Contemporary Arts for hosting us!